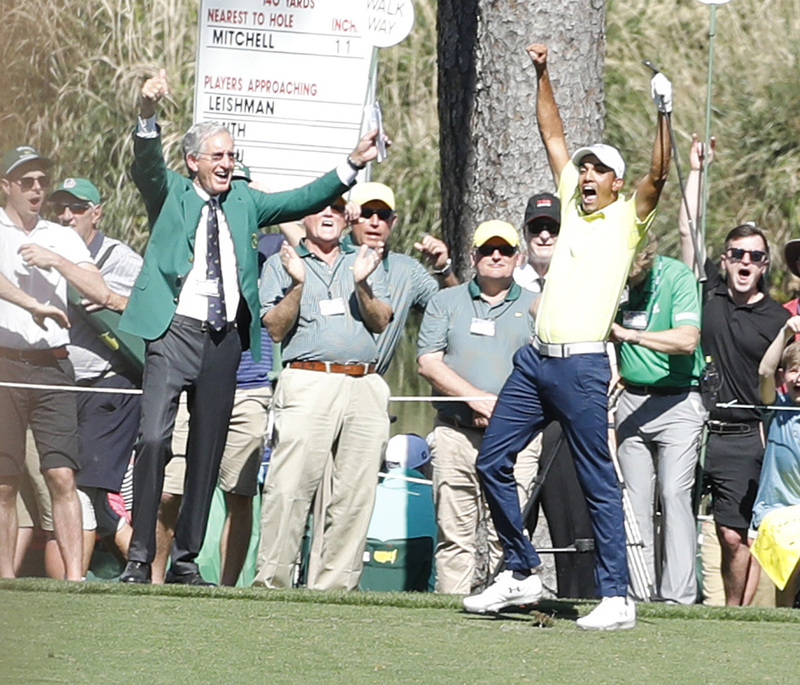 It all starts with the green jacket, which has been awarded to the champion since 1949. 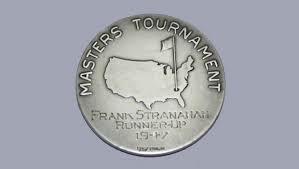 He also gets a sterling silver replica of the Masters Trophy (which depicts the clubhouse) and a gold medal. The runner-up receives a silver medal and a silver salver. 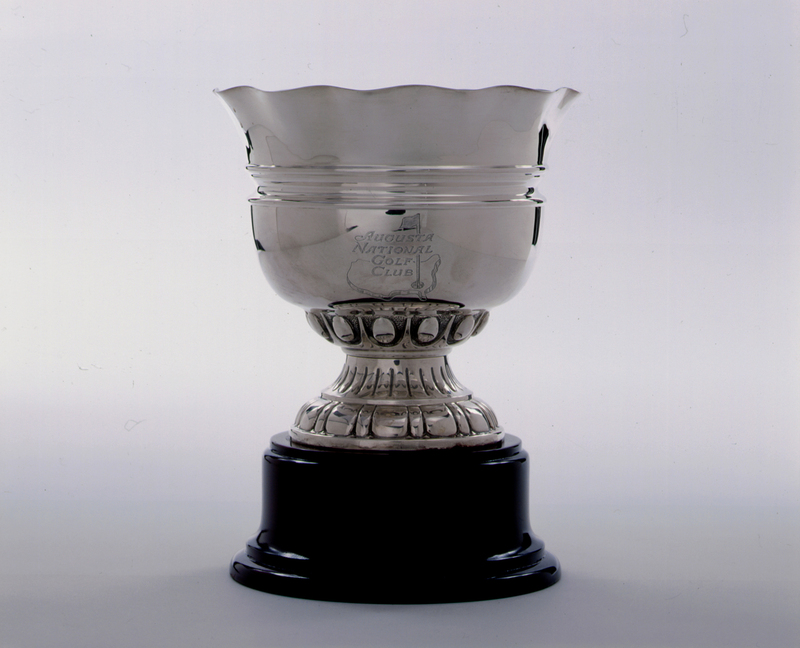 Amateurs who make the cut are eligible to win the silver cup, which goes to the low amateur, and the silver medal that goes to the runner-up. 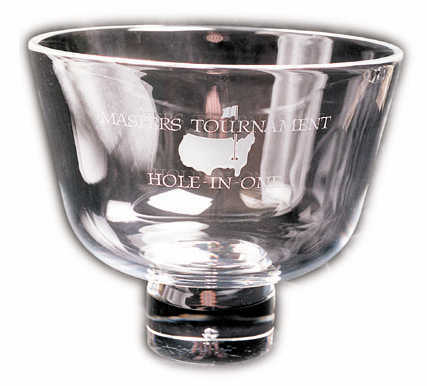 Players who card a hole-in-one during the Masters tournament receive a large crystal bowl. 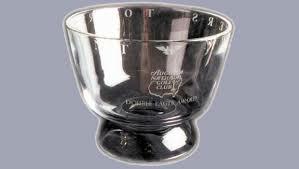 A large crystal bowl is awarded to players for double eagle. With only four double eagles in tournament history, it is the hardest trophy to obtain. 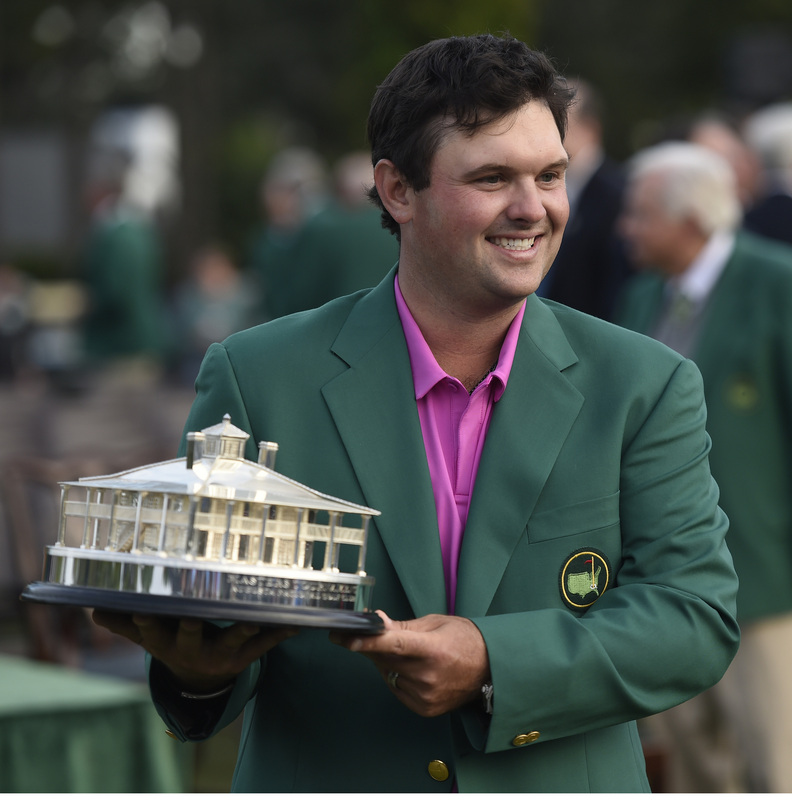 The most common way to walk away with a trophy embossed with the Masters logo is to make an eagle. Any player in the field is eligible. From 1954-62, anyone making an eagle received a crystal highball glass. From 1963-2011, a pair of crystal goblets was awarded. 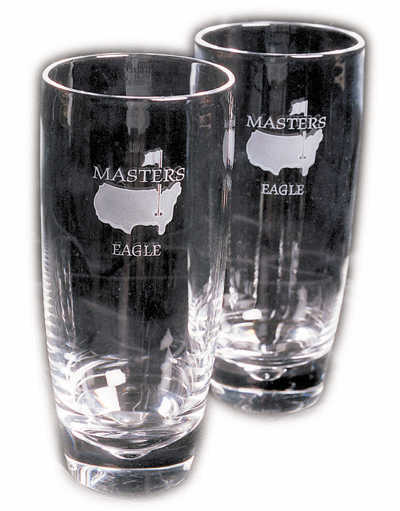 Now, a pair of crystal highball glasses goes to those who card an eagle. 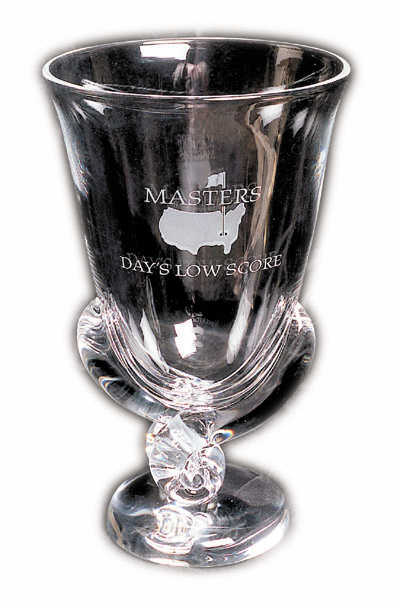 Crystal is also awarded to players for low round of the day (vase). The winner of the Wednesday Par-3 Contest receives a crystal pedestal bowl. 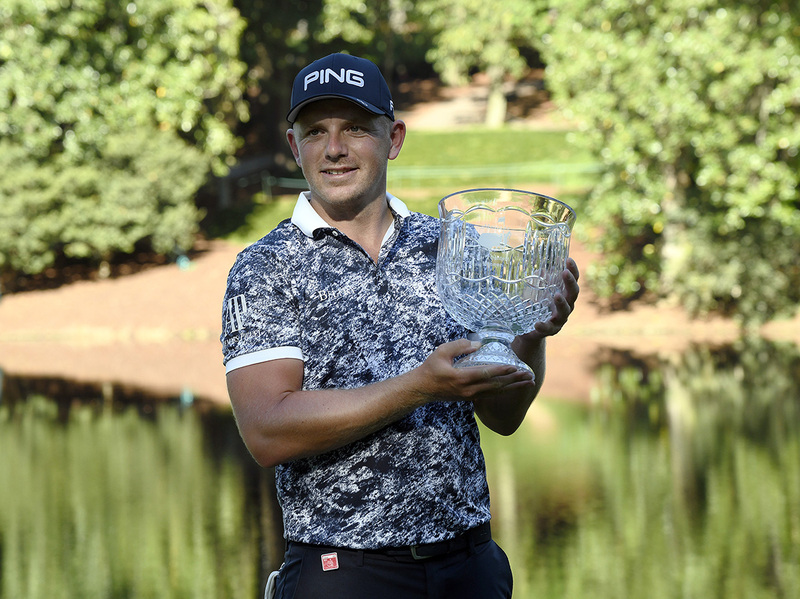 A hole-in-one in the Par-3 Contest earns players a crystal vase. 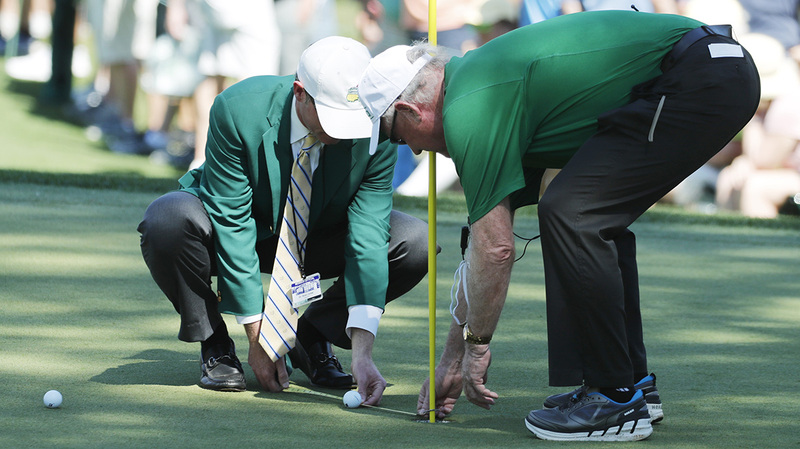 A crystal pitcher is awarded to the player closest to the flagstick in the Par-3 Contest.